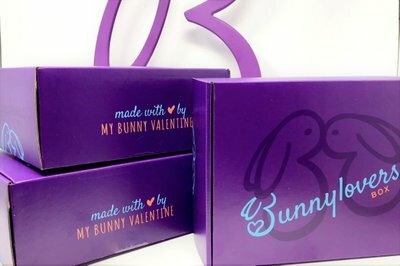 Enter your email address below to receive a notification when My Bunny Valentine starts accepting new sign-ups! Enter your email address below to receive a notification when My Bunny Valentine is accepting new sign-ups again. We ship quarterly. You'll receive your first box within a week of your subscription. After the first box, all customers will be on the same schedule and receive a new box every 3 months. These boxes will be shipped out by the 22nd of Jan, April, July, October. Bunny Lovers' Box is for all hoomins with an eternal love of bunnies. Each box will contain 4 to 6 of the following items: Jewelry. Custom-Branded Stress Toys, Apparel, Bags, Purses, Cinch Sacks, Plushies, Umbrellas, Travel Accessories, Stationary, Housewares, Electronics, & more! Our box is the perfect gift for women, from your mom to your gf! 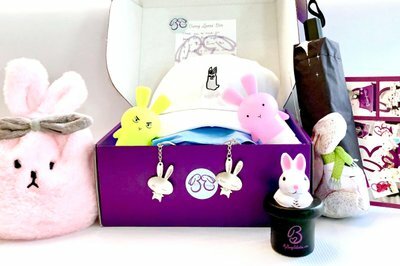 Each exquisitely curated purple box is packed with bunny merchandise from around the world. 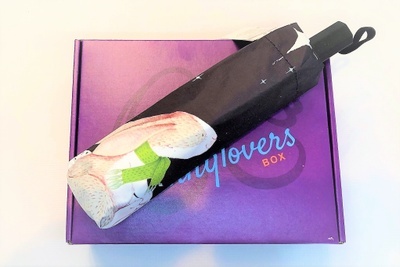 Our box makes a perfect gift for just about everyone, regardless of age or gender. Don't forget yourself! We support all animal rescue efforts, especially SaveABunny since they rescued our own PuppyCat! Super cute fun box!!!! If you love bunnies!!! Worth every penny!! I’m so glad you enjoy our box. 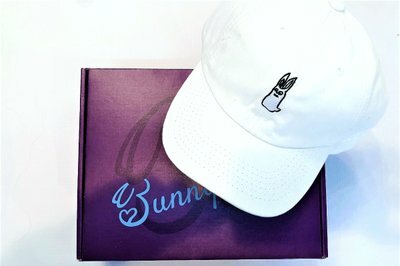 We take great pride in curating products featuring our best hoppity friend, the bunny. 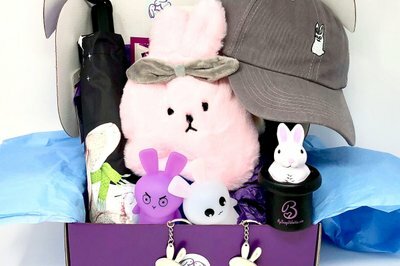 Since this box is geared towards humans for now, all you need is a love for bunnies and this box will certainly bring you a smile! Love it. Wear hat often and bunny bag serves several purpose. The stuff in the box is so adorable! I have two bunnies and they also love jumping into the box. Highly recommend and Ella is so sweet! 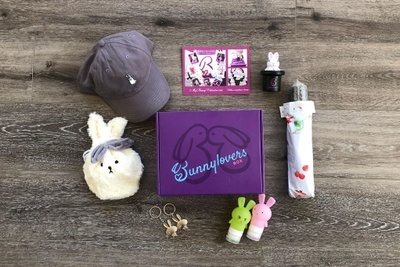 I love everything bunny, I might be considered a crazy bunny lady 🐰 so I was very excited when I found out this box was coming out. I ordered as soon as I could and all the items are perfect! I can't wait for rain to use the umbrella, I put the keychains on my and my SO's keys, the hat I wear Everytime I can. I just loved all the items. 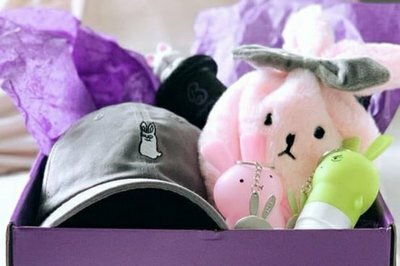 They are very high quality and very carefully selected, I recommend this box to everyone that loves bunnies, that wants to support a small business and that is a crazy 🐰 lady (or man!) Like me. So many bunny gems in one box! 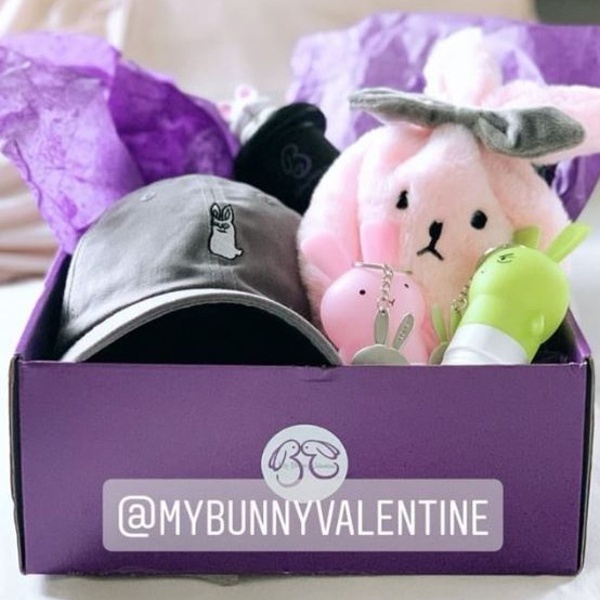 My Bunny Valentine has the most beautiful purple box with rare bunny-themed items. I have already used every single item in this box, and the compliments are endless. This makes an amazing gift too. 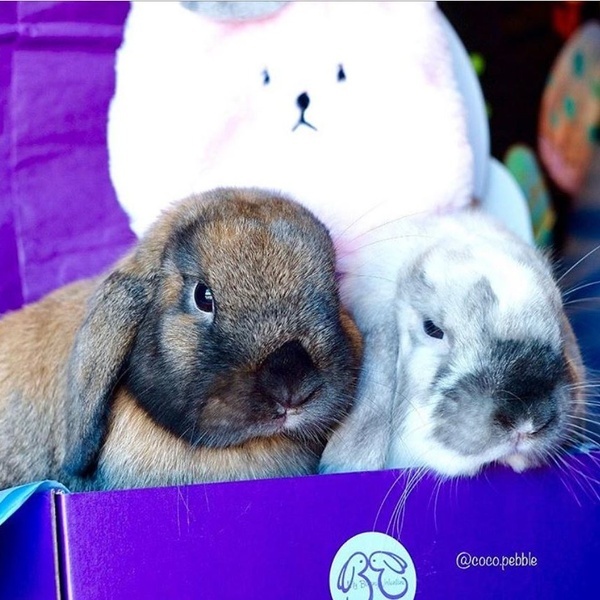 My bunny-loving nieces were ecstatic to unbox their own purple boxes of joy. Definitely worth a subscription!! High quality gifts for everyone! Firstly, the box is so cute and sturdy - I'm a sucker for good packaging. Next, the items inside the box didn't disappoint. My friend group is a mix of girls and guys in their mid-to-late twenties, and when I opened the box each of them saw items that they loved. My guy friend was instantly drawn to the hat with the grumpy-looking bunny, and my girl friend loved the unique umbrella. Personally, I love the adorable set of travel bottles. They're squishy but very functional and don't leak. I've used them for liquids from shampoo to makeup remover and not a single drop has leaked. I can't wait to see what's in the holiday edition box! The items in this box are all such good quality I was pleasantly surprised. The umbrella was a wonderful and unique touch! 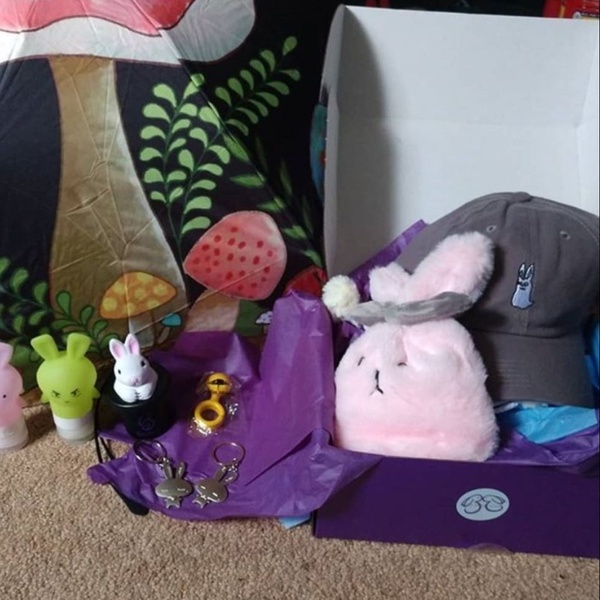 Everything in the box was cute and perfect for anyone who loves rabbits, or just cute things. I would recommend getting this box as it is such a joy to recieve.